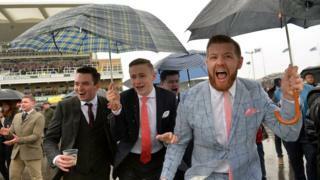 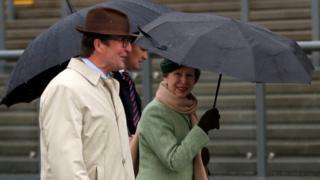 Wet and windy conditions did not deter racegoers or the Princess Royal from turning out for the first day of the Grand National Festival at Aintree. 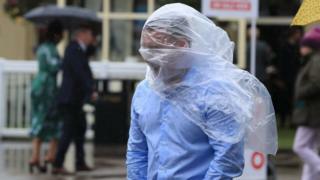 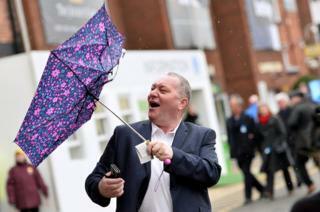 Punters sheltered under umbrellas and ponchos as the three-day meeting got under way amid drizzle. 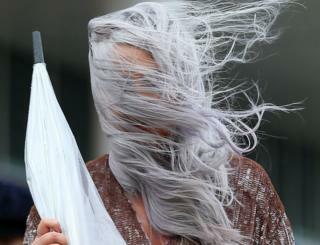 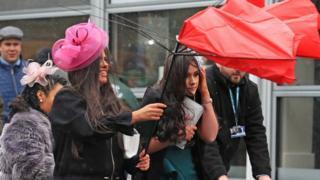 Female spectators were pictured clinging to elaborate hats at Thursday’s blustery opening day. 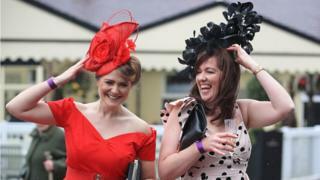 Brighter weather is forecast for the festival’s showpiece Grand National steeplechase on Saturday.